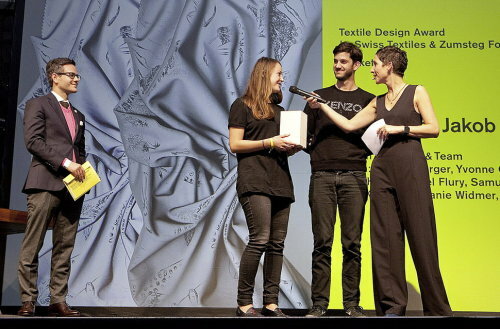 Jakob Schlaepfer wins the Design Preis Schweiz 2013 (Swiss Textiles & Zumsteg Foundation) with the project ‘Slow Light’. The collection consists of reflecting materials that have been worked with various Jakob Schlaepfer techniques. The creations reveal their richness only in certain lighting which gives them a unique and playful appeal.